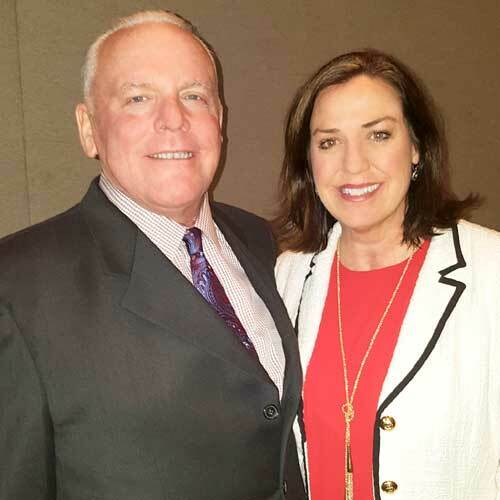 My wife, Julie O’Reilly and I appreciate your interest in our organization. O’Reilly family owned restaurants have been a dining destination of choice for North and East Texas residents along with their families since 1974. We are a locally owned and operated family business with close ties to the communities we operate within..
place where valuable life skills are learned and opportunities abound for all. Our involvement in the cities we serve and donations of time, products and money to local charities, demonstrate our desire to be contributing citizens of the community. Our facilities are continuously updated, clean and inviting. Our menu provides a variety of choices for our customers. Our guests can make informed decisions about the foods they want to eat, including premium salads, premium chicken sandwiches, and old favorites such as our world famous french fries. Our prices always provide a terrific value as well. Julie and I are glad you took some of your valuable time to visit our web site and learn more about us. We hope that information provided here will provide added value and convenience to your next visit to an O’Reilly McDonald’s ®. We value your opinion, so please submit your comments anytime. We hope to meet you in the restaurants soon.